Kimber Academy is a private K-12 academy. 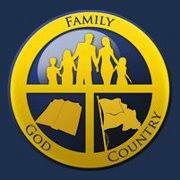 Their family-centered program is different from any other private school you have ever read about or experienced. They are restoring education to its rightful place by putting parents in charge of their children’s education. Common religious principles are interwoven into all the core subjects of history, math, language arts and science. We teach the Constitutional principles and values which made this country great, and honor America’s Founding Fathers. Students will be taught the 28 Principles of freedom from our country’s Founding Documents, by studying The 5,000 year Leap written by W. Cleon Skousen, and how to use those principles to solve America’s problems. At Kimber Academy you will be pleased to watch your children’s spiritual growth alongside their academic progress, as they apply the principles of the curriculum.